Matua Hone Kaa – A Tribute. Matua Hone...e rere tonu nga roimata. In January, I posted a piece about Sermons. In that post, I made reference to one of the best preachers I have ever heard, the Ven. Dr. Hone Kaa. 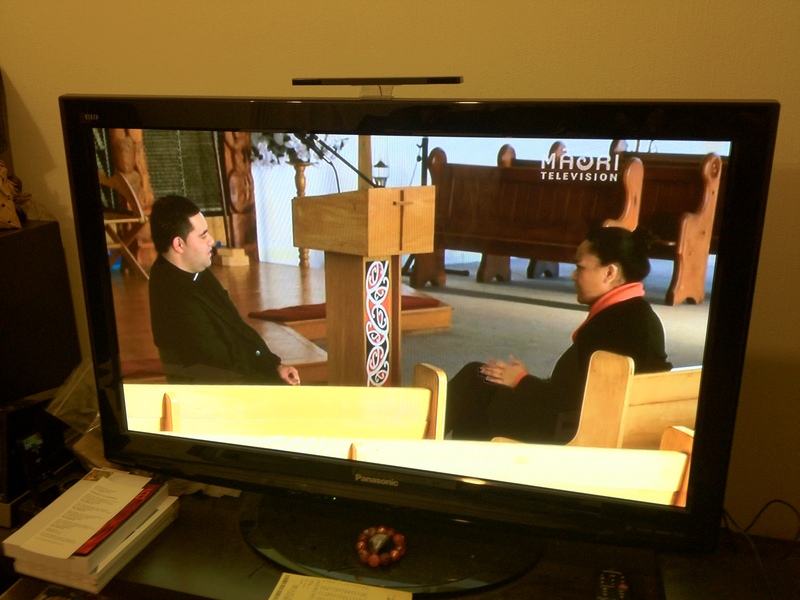 I have had the privilege over the past few years to work with and learn from Matua Hone. From driving him around, to being one of his ministers in Mangere, to just spending time with him, Matua Hone has had a huge impact on me. It was with sadness then that we learned of his diagnosis of cancer and that little could be done for him. As the days went by, Matua Hone didn’t seem to change, he continued coming to Church, he signed up to front a new TV show, things were looking good. But at the beginning of the week Matua Hone’s condition began to change until, on Thursday the 29th of March, surrounded by his family, Matua Hone passed away. As preparations began to take shape, myself and several other young ministers who Matua Hone had mentored began the task of looking after Matua Hone and his whanau during his tangi (funeral). It was a sad but humbling pleasure for me to preach at Night Prayer on Friday Night at Matua Hone’s tangi. The following is the sermon I preached that night, I wanted to say more, and to be honest I could never put in words all that Matua Hone has meant to me, but as we prepare to take Matua Hone home to the East Coast it seems appropriate to share the sermon here…given it was him who inspired me to post my sermons online! No reira ki a koutou te whanau, Whaea Jane, Hirini, Nepia, Paea, Ngarino, Emere, Hana and Takimoana, kia kaha, kia maia, kia manawanui. May the words of my mouth and the meditation of all our hearts, remain acceptable in thy sight O LORD our rock and our redeemer. A couple of weeks ago, some of us from St. Johns were lucky enough to spend an evening with Matua Hone and Whaea Jane at their home in New Market. It was a night filled with stories, laughter and karakia. For my sins, it was decided that I would preach that night. One thing I noticed as I prepared my sermon, was that since Matua Hone fell ill, a lot of people had been using different words to describe him, now that Matua Hone has passed away, the whole nation is referring to him like that. Some have called him a “rangatira”, others an “activist priest” and some have even described him as a “living legend.” I remember talking to one of Hone’s cousins, Wharekawa, and we got to talking about sheep. Wharekawa said that some of my Huriwai wanau were good shepherds back in the old days. Well whanau, needless to say, that talent must have skipped my generation! I don’t know much about sheep, and to be honest, I haven’t even touched one, but what I do know is that the work of a shepherd is hard, especially in the time of Jesus. Their work revolved around being alert and ensuring the safety of the flock. It was the shepherd’s responsibility to ensure there was good pasture and water for their sheep and that meant the shepherds often spent long stretches of time away from home, often sleeping under the stars, open to the affects of the weather and in some cases wild animals. All of these things, combined with the sheep’s tendency to wonder off and become lost, meant that the shepherds were always working. In some cases the danger was so high, that in order to protect the sheep, the shepherd would have to place himself in harm’s way, sometimes resulting in the shepherd’s injury or worse, death. 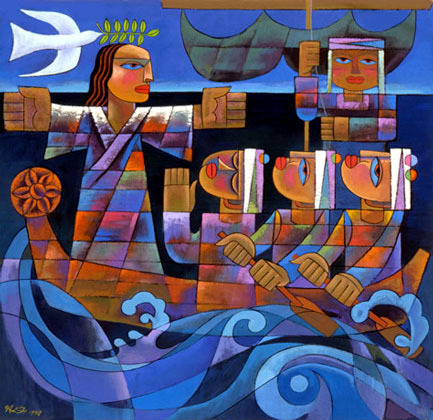 Whanau it may seem as if this story in the Gospel of John is simply talking about Jesus, and you wouldn’t be wrong for thinking that. But beyond that theme, this gospel reading is calling us all to realise that we too, through the death and resurrection of Christ are being called to be shepherds to our whanau, our friends, our people. 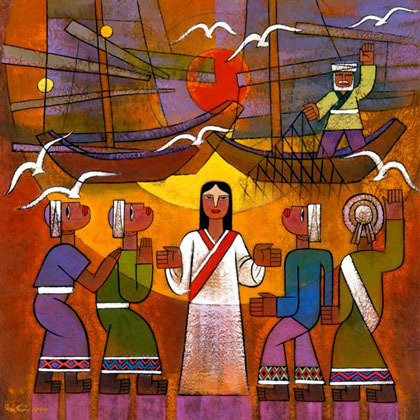 Matua Hone did just that, he began a journey in response to his calling to serve his people, and like the shepherds of Jesus time this calling, this mahi lead him away from his home, away from Rangitukia and the East Coast and sometimes even away from Aotearoa. 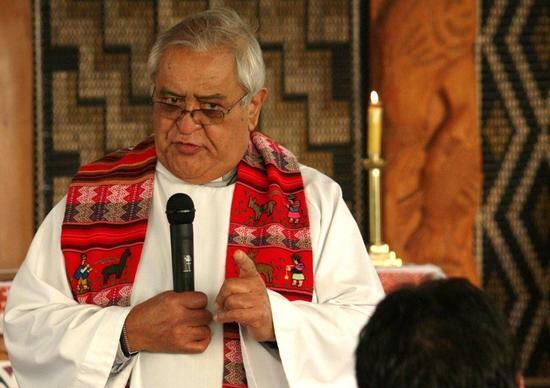 Matua Hone’s work as a priest, was a work and a ministry directly informed by his faith, and if anything the one thing he held closest to him was the care of people, so much so that given his over 40 years of Ministry as a priest, you could say that he lay down his life, and therefore lived his life for his people. 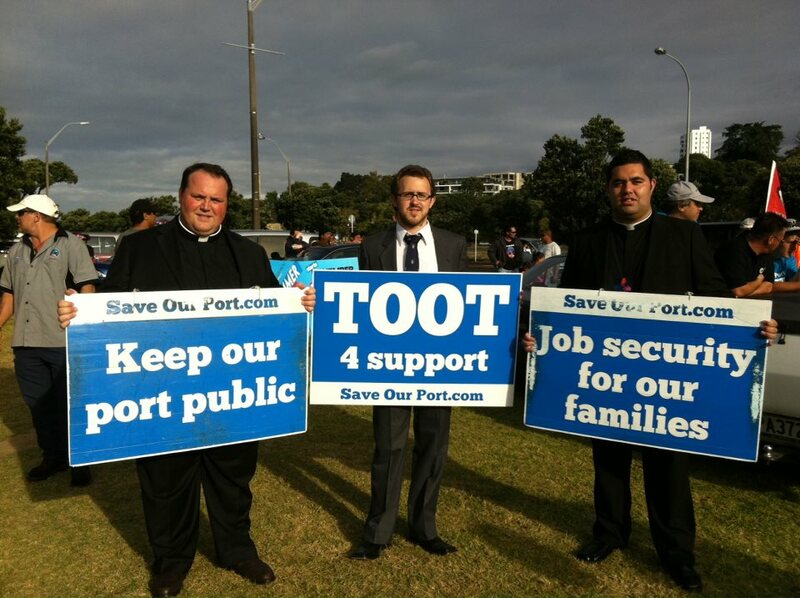 That isn’t to say that he only ministered to Ngati Porou or to Ngati Kahungunu, No. It was Matua Hone’s belief that everyone was made in the image of God and that therefore means that we all have a vested interest in one another, all people were Matua Hone’s people. What better example do we have of this part of Matua Hone’s life then the establishment of Te Kahui Mana Ririki. Matua Hone took a vested interest in every child in Aotearoa, and when it was obvious that something needed to be done, and our tamariki needed a voice, Matua Hone once again lay down his life and did something about it. No reira e te Matua, e te hoa, e te Hepara. Moe mai ra i roto i to moenga. Moe mai ra i roto it e ariki. Matua Hone, doing what he does. In my brief career as a preacher I have come to the opinion that preaching is a true art form, and sermons a piece of art. Like most works of art, there are things that work well and things that don’t. Things that depend on the viewers’ (or listeners’) perspective and things that are just plain horrible no matter what perspective you take. This means that the act of preaching and indeed the sermons themselves become a very intimate thing, almost to the point when the sermons themselves become a piece of you and a little bit of you is weaved within the sermon. For these reasons some preachers (this one included) can become a little bit shy about preaching and our sermons. Of course there are those for whom preaching seems to be natural. I have been blessed to witness some true masters of this art form in action, most notably the Venerable Dr. Hone Kaa, Kaumatua Priest and Mentor for scores of ministers here in Aotearoa. I am convinced that the reason Matua Hone is so at home in the pulpit is because what he preaches at Church on Sunday he is living on Monday, Matua Hone’s faith informs his action. Matua Hone isn’t always the most eloquent preacher and at times he comes very close to “the line” and may even step over it, but what Picasso or Michelangelo could do with a paint brush, Matua Hone can do with words. In an attempt to get over my own shyness and to one become a quarter the preacher that Matua Hone is, I have decided to post my sermons here from now on. I realise that that could mean this blog is about to deteriorate into a theological wasteland, but it is pretty much already that so why not go the whole hog! I apologise in advance for the ensuing sermons! Kia koa, kia hari –Rejoice and be glad!